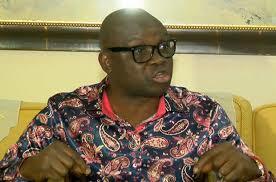 ‎Fayose: Buhari has become bad business for the ‘cabal that imposed’ him on us – Royal Times of Nigeria. The governor asked the federal executive council to invoke section 144 of the constitution and to declare the president incapable of performing his duties. 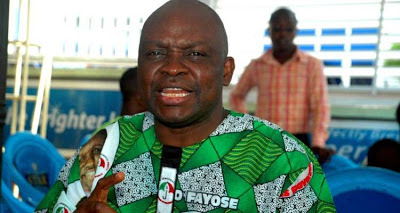 Ayodele Fayose, governor of Ekiti state, President Muhammadu Buhari has become a “bad business for the cabal that imposed him” on the country. In a statement on Monday, the governor known to be very critical of the current administration, alleged that the presidency is confused about whether to bring Buhari back to the country or to leave him in London. Buhari has been in the UK where he is receiving medical treatment for an undisclosed ailment. He had earlier returned to the country on March 10 after spending 49 days in the UK. He returned to the UK indefinitely after 57 days in Nigeria. His long absence has fuelled speculation about his health. Fayose said he warned Nigerians that Buhari was a “black-market packaged by the APC cabal that was only interested in seizing power”. “For a president who has spent 113 days abroad taking care of his health out of the 191 days in 2017, it is time for section 144 of the 1999 Constitution of the Federal Republic of Nigeria to be invoked,” he said in a statement signed by Lere Olayinka, his spokesman. “President Buhari left Nigeria for London on May 7, 2017, and today is July 10, 2017, 64 clears days since Nigerians saw their president or heard anything from him. Even the president’s handlers are keeping Nigerians in the dark. Fayose added that he was not wishing Buhari dead, but that he wanted Nigeria freed “from the hands of those who are presently holding the country to ransom”.